I started some spring cleaning today and noticed the mids on my old Baby Advent IIs had blown out the surrounds, so I figured I'd throw the Evil 6.5s in their place and have some fun. Now, these are in a simple bass reflex at 9.1L. 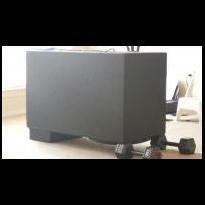 There's a simple 1st order crossover running up to 6K, so the woofer is wide open down low and starts rolling 6dB at 6K. It's a really simple design. These are being powered by an old Pioneer Elite receiver rated at 40WPC at 6 ohms. Standing DCR on them was 7.12, so we're in business. Now, I didn't expect much as this was just a WTF experiment. 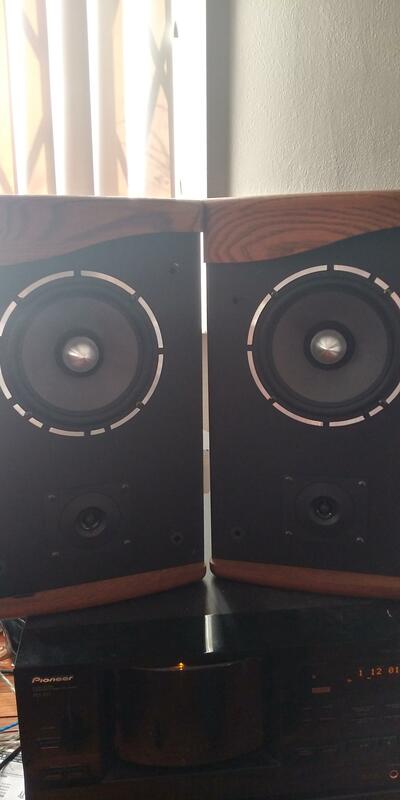 I fired them up and was immediately blown away with the midrange. It's generic, but damn, I've not had a driver with midrange detail like this aside from the Revelators. Now, IIRC, I paid $150-$180 PER DRIVER for those 15 or so years ago. Obviously the Evil 6.5 is not in that league money-wise, but my ears don't distinguish price, just sound. The midrange is phenomenal. I believe these are marketed as midbass drivers. IMO, that's misleading. I had some trouble with these down low even in these small enclosures. The drivers reached their mechanical limits at 20 watts right around 58 Hz. I cut the EQ from that point on and they shined on and took all 40 watts without issue. This may be a problem for some, but this is right about where I have subs taking over. This driver is seeming to be the perfect fit for me. I have decided to vent them in-car, so this little tests just confirms what I've suspected. I'll gain even more cone control with the vented enclosure, so I don't see the mechanical limitations being relevant at all. They'll be safely crossed above that point any ways. But just note, if you're running these in a door without the benefit of the vent or crossover, don't get crazy! Another thing to note is the efficiency. I had trouble with the volume control on the Pioneer. 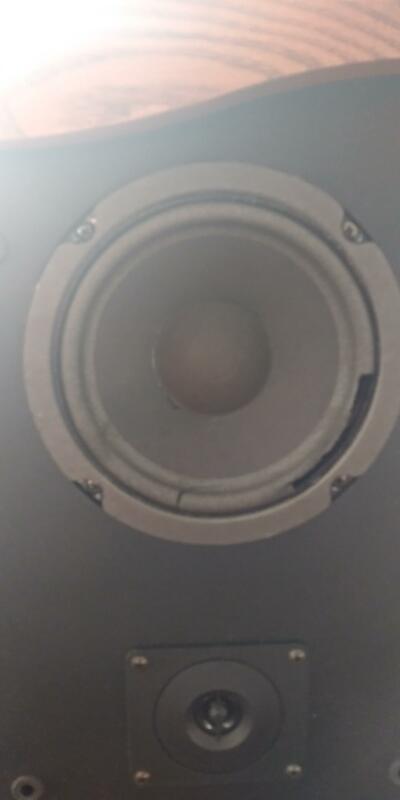 The mylar tweeters in the Advents are known for their efficiency, and the Evil 6.5s hung right in there with them. There was really no need to run more than 20 watts here. I realize the automotive environment is a different beast, but these things are loud, EASILY! Off-axis response came with negligible difference to my ears, but those phase caps really liven up the experience on-axis. It's like frosting on a brownie! Just lovely! I'm going to play with these some more in the Advent enclosures, but I can't wait to get them in the truck! I'll leave this with a couple simple pics. Here's one of the bad woofers. Time for a change. And here they are with the Evils.